If you’re like a lot of people, you may not feel as though you’re missing out on much when you let that dental exam slip on by. Dentistry is such a routine part of life during childhood that you would think all adults would continue to schedule (and keep) the recall visits that are intended to check and clean teeth with professional protocols. This isn’t the case. In fact, millions of people either forget to schedule their routine exam and cleaning or simply avoid doing so. We’re guessing you know that this is problematic. Do you find yourself skipping out on the appointments you’ve made with your dentist? Has it been forever since you’ve sat in the dental chair? If you haven’t obtained an exam and cleaning in years, you’ve missed out on quite a bit. You may imagine we’re going to discuss the need for professional dental care to prevent dental disease. We’re not. We are going to trust that you know and may have even experienced, the pitfalls of going it alone. What we want to do here is point out what you miss out on when you don’t see your dentist. One of the values we hold in our office is the preservation of oral health as a way to support general health and wellness. We’d like to suggest that dental visits provide you with an outstanding way to take better care of yourself as a whole. When you become more familiar with your mouth, you are better able to recognize when something doesn’t feel right. 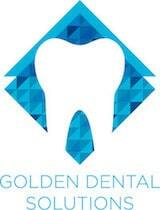 In our Golden, CO dental office, we also encourage patients to ask questions. The knowledge that can be gained by questioning why a dental problem has occurred, how to care for teeth, and what dental treatments are beneficial is significant – and it’s meaningful to your sense of control over your dental care. One of the biggest reasons why people miss dental appointments is because they worry about what their dentist may find. Skipping one appointment can only exacerbate this sense of stress. The longer you go without seeing the dentist, the more that can go wrong. On the other hand, when you maintain a routine of exams and cleanings, there is a very small window during which dental problems can develop. Therefore, you have a great idea of what to expect during routine visits when you keep a regular schedule. We would love the opportunity to show you how easy dental visits can be. To schedule a visit with us, call (303) 277-9600.